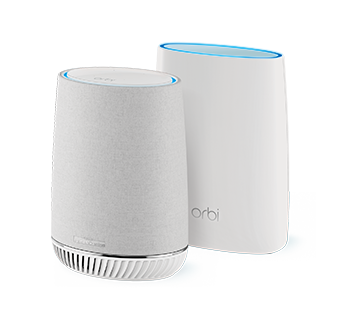 Orbi™ Mesh WiFi System with Orbi Voice delivers whole home WiFi with a superior smart speaker experience. 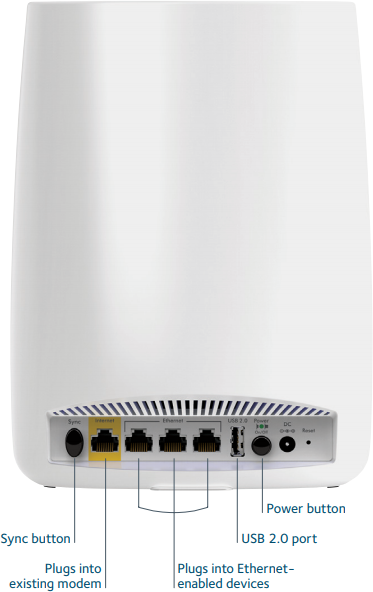 Tri-band Mesh WiFi brings high-performance WiFi throughout your home with buffering and dead zones. Built-in Amazon Alexa™ lets you voice control your music and your smart home. Enjoy better WiFi and sound. Everywhere. Less Buffering and Dead Zones. 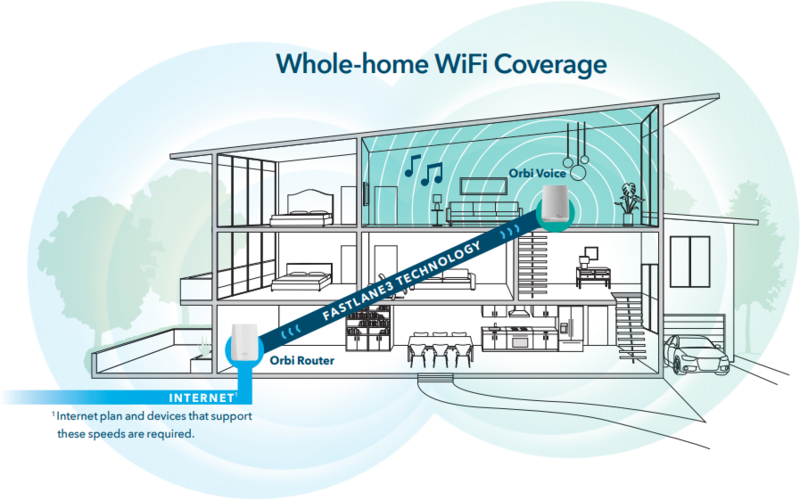 Tri-band Mesh WiFi delivers powerful, seamless WiFi for whole home coverage. 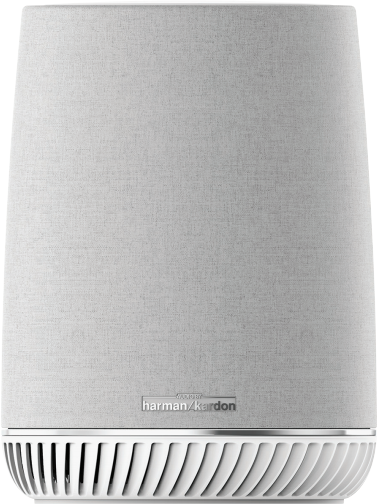 Voice control your music and your smart home. Additional Amazon Echo device not required. Manage Your Kids’ Screen Time. 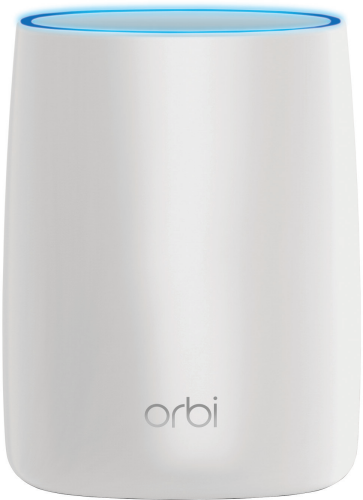 Use the Orbi app or a web browser to create secure whole home WiFi in minutes. With no accounts to setup. One WiFi Name & Smart Roaming. 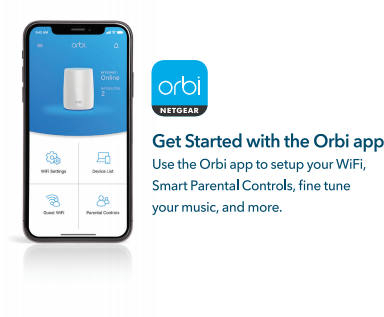 Enjoy the convenience of a single WiFi name with seamless connectivity for your whole home. 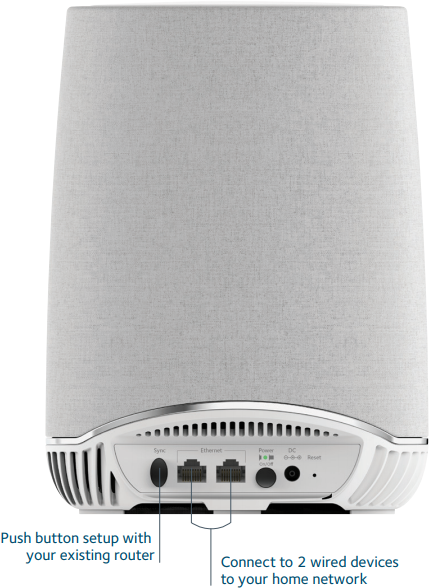 Download the NETGEAR Mesh WiFi System & Smart Speaker Datasheet (PDF).